Take your students on the field trip of a lifetime in a clean, reliable charter bus rental. With strict safety standards and access to the largest network of bus rentals in Texas, Longhorn Charter Bus Houston makes renting a bus easy and fast. Call our 24/7 team at 713-344-0553 to learn more! Planning your next school field trip? Make it easier for all students, teachers, and chaperones with reliable transportation no one has to worry about. 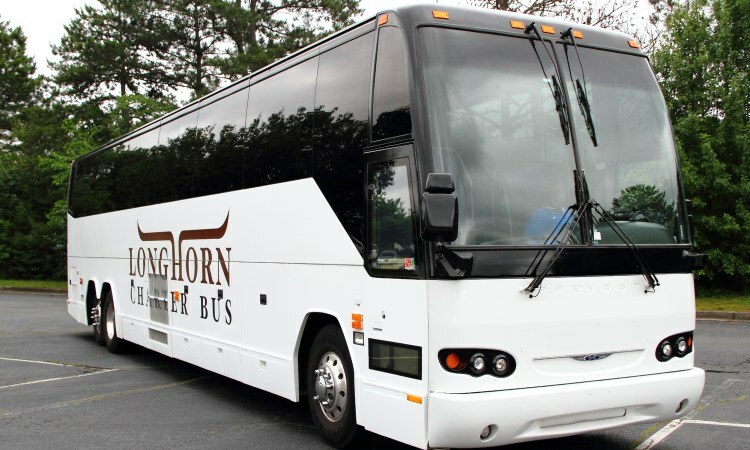 Longhorn Charter Bus Houston specializes in finding the right charter bus rental for all school events, whether it be a field trip, campus tour, or off-site meeting. With options ranging from compact minibuses all the way to full-sized motorcoaches, we can accommodate any kind of group. We know just how important safety is, especially when transporting students. That’s why we ensure each bus rental passes a series of safety procedures before hitting the road, and we only work with seasoned, local drivers who are completely certified and trained. You can travel with your students knowing they’re in safe hands. We all know how impatient kids can get, especially on long-distance trips. Luckily, your bus can come equipped with a variety of high-quality amenities to keep both students and chaperones comfortable and entertained the whole ride. With reclining seats to relax in, on-board restrooms, and air-conditioning to beat the Texas heat, you’ll never have to worry about making unnecessary rest stops along the way. Request TVs, DVD players, WiFi, power outlets, and speakers with an auxiliary port to keep everyone entertained no matter how long the trip is. Longhorn Charter Bus Houston makes arranging school field trip transportation easier than ever, giving you more time to plan and have fun with your students. Our team is available 24/7 to help you find your bus when you call us at 713-344-0553.